The cast is good rather than starry, but then Currentzis isn't interested in that. In the CD booklet article, laid out as an interview, he talks about stripping away the 19th century bel canto element from the opera. So in that sense this performance is the very antithesis of the starry Don Giovanni beautifully sung. Because Currentzis argues that this concept of beautiful singing derives from the origins of the contemporary singers' techniques in the development of 19th century pedagogy. 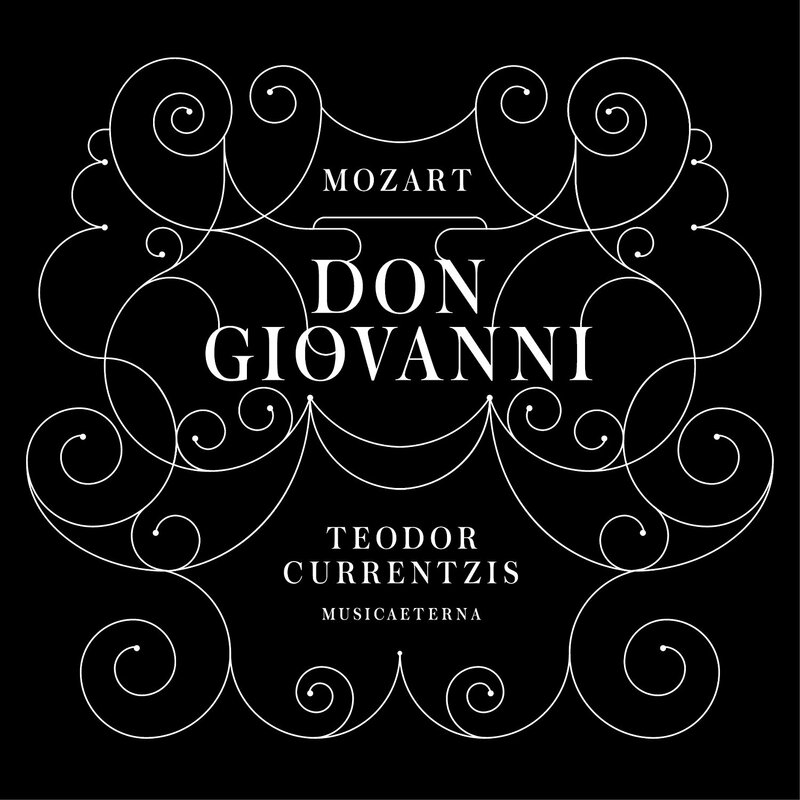 This is one of the first Don Giovanni recordings to try and rethink the vocalism in the same radical way as the historically informed instrumental playing. Most 'authentic' Mozart opera recordings combine historically informed instrumental performances with a vocal technique based in the 19th century. No-one has yet gone back to basics and used period vocal treatises in the way instrumentalists use instrumental treatises. Currentzis doesn't go as far as that, for a start his singers still perform with lowered larynx (something brought in, in the 19th century). But the sound world is less consciously beautiful and far more keyed to the words. It was this sense of the text which I first noticed, but the first person to sing is Vito Priante's Leporello and Priante is Italian. Not everyone likes it, Hugo Shirley in his review in the Gramophone (November 2016) says 'Currentzis seems to generally to have encouraged his principals either to under sing, rein in their voices or espouse resolutely neutral-sounding characterisations' and 'much is stripped away; very little, apart from some modest ornamentation and rust additions in the orchestra, is offered in its stead'. But I was very taken with the sheer dramatic vividness of the performance. When I interviewed Ian Page of Classical Opera (see my interview), he talked about the necessity of rehearsing recitative as much as the arias, and that must have been the case here. The dialogue fairly crackles with some passages delivered at a whisper. It really is like a radio play, and it is out of this drama that the arias arise. Often we lose the sense of differentiation between the one and the other. We get an omnium gatherum version of the opera which combines Vienna and Prague, not only Mi tradi and both arias for Don Ottavio, but the duet for Leporello and Zerlina, and the aria which it replaces. Tiliakos makes a lithe Giovanni, able to do whiplash anger and seduction. The champagne aria is high speed and almost abrasive, whilst the serenade would certainly have anyone seduced. Priante is a vital Leporello, and moments like the catalogue aria are full of character. I could listen to the recording simply for his wonderful way with words. At first Papatanasiu's Anna seemed too light but she really brings laser power to the role when required. and an elegant account of her last aria with great beauty of line. Karina Gauvin certainly matches her turning in an elegant, powerful yet slim-line account of Mi tradi. This is a performance which loses Mozart's sense of an opera seria Donna Anna, an opera buffa Zerlina and Donna Elvira somewhere between, again very much in the modern manner with Gauvin's Elvira as serious and intent as Papatanasiu's Anna. Gansch makes a perky Zerlina, well able to trade verbal snaps with Giovanni and Leporello. Tarver turns in a finely sung account of Don Ottavio, perhaps the most beautiful singing on the disc. Loconsolo is a fine Masetto but his voice is not quite differentiated enough from Tiliakos's Giovanni and Priante's Leporello. (in the original Prague production the same singer double Masetto and Il Commendatore). Kares makes an impressive Commendatore, strong on characterisation and dark rather than black of voice. 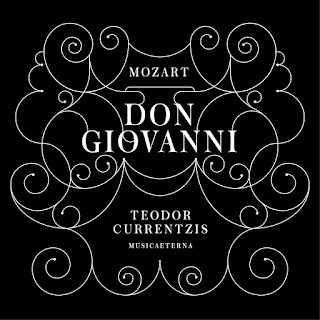 This is not an ideal Don Giovanni and many of Currentzis' pensées will annoy people, but it is an intriguing and thoughtful take on the opera. Sony has rightly taken the view that this remarkable personal vision was worth capturing in the studio; after all it hardly makes sense to commit all the resources to recording a version of the opera which is almost identikit to those already in the catalogue. Currentzis does not go madly headlong at everything and I thought the speeds worked well by and large. My biggest cavil is the rather over enthusiastic forte piano from Benoit Hartoin and Maxim Emelyanychev (who is chief conductor of Il Pomo d'Oro). But this continuo style is perhaps simply a reflection of the drama Currentzis extracts from the dialogue in the score.